Hi, I'm Ineke. I'm a social media, internet and television addict. When somebody tells me about a trip the first question that comes to my geeky mind is: "How was the WiFi?" rather than "How was the weather?". Instead of admitting to my infobesitas, I decided to make this new media addiction my life by studying it and hopefully making it (part of) my job someday. That's why I chose for this Master: New Media & Digital Cultures. Last year I graduated my BA in Media & Culture from the University of Amsterdam. I wrote my thesis on ACTA and it was called 'You Can't Squeeze Blood From a Stone. 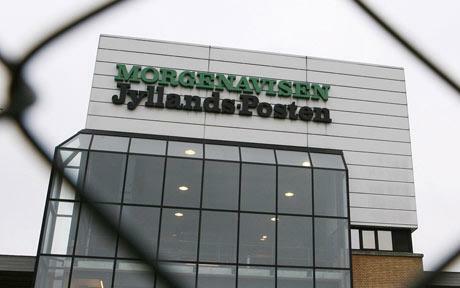 Why ACTA Isn’t Beneficial for the Media Industry Either.'. I believe in the 'sharing is caring'-internet and like to see the ones in power to treat this space appropriately. So not by criminalizing, blocking and censoring content using the old traditional media model, but by embracing this 'new' techniques and developing a fitting new media approach. During this summer I decided it was time for an internship and I ended up as an internet editor at Merge Media in The Hague. I was lucky, this company gets it! Just like me they don't see the 'social, downloading, peer to peer sharing, pirating'-internet as a threat to commercial businesses, but they see it as a site of great opportunities. They believe by giving the consumer something worthy (not necessarily for the world, but for the target audience), your brand will get something worthy back: A loyal sincere passionate evangelizing consumer. At Merge I got the chance to blog; copy write; vent my thoughts about social media; create, analyze and give advice on Facebook and Google Adwords campaigns and create my very own engagement program for Merge itself. At the moment I combine this Master with (very) part time blogging at Merge. Want to know more? Feel free to Tweet me! Not everyone on this earth gets the respect or at least tolerance that they deserve. In this world discrimination is such a big problem that it seems almost unsolvable. People get discriminated against for all sorts of reasons. LGBT people (Lesbian, Gay, Bisexual, Transgender) get discriminated against for their sexual preferences and differing genders. Discrimination against LGBT people is a worldwide problem and happens on a daily basis everywhere. In this case study I will illustrate how Dan Savage’s project ‘It Gets Better’ uses the power of online media activism to raise awareness, acceptance for LGBT issues and give LGBT teenagers strength to live a happy life. According to Stephen Duncombe (( Martens, Emiel. “Mainstream Media and Alternative Media.” Media Activism. Unversity of Amsterdam. Amsterdam, 16 September 2011. )) resistance happens when culture is being used to, whether or not consciously, resist against the dominant political, economic and social structure. Marisol Sandoval and Christian Fuchs describe alternative media as media containing critical content that’s focused on being politically effective (( Sandoval, Marisol, and Christian Fuchs. “Towards a Critical Theory of Alternative Media.” Telematics and Informatics. 27 (2010): 141-150. )). Media activism thus has the goal to resist the power of the established order. Mainstream media have a few disadvantages to be able to be resistant to the established order. It certainly is not impossible, but because of financial reasons this often is not an option. Edward Herman and Noam Chomsky find that the mainstream media generally serve the established order, because it finances them and therefore controls them (( Herman, Edward S., and Noam Chomsky. Manufacturing Consent: The Political Economy of the Mass Media. New York: Pantheon Books, 1988. 1-36. )). This indicates that the money and the interests of financers play an important role in the dependency and thus the content of mainstream media. It is no secret that for example media mogul Rupert Murdoch’s Fox News, that is supposed to be “fair and balanced”, spreads the financer’s conservative opinions. This does not have to be a conscious process, because that would make journalism untrustworthy. Journalists generally have the goal to be objective, but according to Robert Hackett and William Caroll the process of hegemony causes naturalized morals and truth claims (( Hackett, Robert, and William Carroll. Remaking Media: The Struggle to Democratize Public Communication. New York and London: Routledge, 2006. 1-14, 19-39. )). The mainstream media thus do not have to be conscious of supporting dominant ideologies and their power, because the creators of mainstream media are also situated in the naturalized ideology of the established order (( Theobald, John. “The Intellectual Tradition of Radical Mass Media Criticism: A Framework.” Radical Mass Media Criticism: A Cultural Genealogy. Eds. Dabid Berry and John Theobald. Black Rose Books: Montreal/New York/London, 2006. 17-40. )). Online media appears to be an easier, but still an effective way for media activism. It’s open, is mostly free and makes it possible for everyone to publish their thoughts, which is much harder to do via the traditional mainstream media. The internet, according to Manuel Castells (( Reesink, Maarten. “Mass Media and Environmental & Animal Issues.” Media Activism. University of Amsterdam. Amsterdam, 23 September 2011. )) and Kate Coyer (( Coyer, Kate. “If it Leads it Bleeds: The Participatory Newsmaking of the Independent Media Centre.” Global Activism, Global Media. Eds. Wilma de Jong, Martin Shaw and Neil Stammers. London and Ann Arbor: Pluto Press, 2005. 165-178. )), is able to be independent, open, decentralized, dynamic, horizontal, global and local. That is why it is a great tool for activists and ‘DIY-activism’. A big plus is that is does not need a lot of money, because it is open and thus accessible for a large audience on a global scale that wants to be involved and active or donate. This online media activism does not have to stay low budget and alternative. It can find its way into and be picked up by mainstream media, which then can be easier visible to and influence the mainstream audience (( Bennett, Lance. “Communicating Global Activism: Strengths and Vulnerabilities of Networked Politics.” Cyberprotest: New Media, Citizens and Social Movements. Eds. Wim van de Donk et al. New York: Routledge, 2004. 123-146. )). 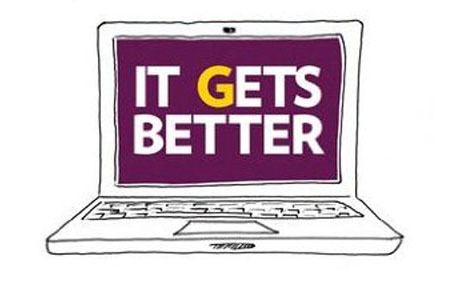 The ‘It Gets Better Project’ started September 21st 2010 with a YouTube video of Dan Savage and his partner talking about their coming out stories and their lives to share with young bullied teenagers the message that it will get better. The instance that caused Dan Savage to create this video was the suicide of Billy Lucas, a 15-year-old high school student. The fact that LGBT teenagers are being bullied to such an extent that it drives some of them to commit suicide, was the reason for columnist and author Dan Savage to start his project. He, a successful adult gay man, was in the position to speak to these teenagers and legitimate claim that their lives will be better in the future. He himself had experienced as a teenager coming out to his religious parents, to be bullied at high school and face all kinds of difficulties that come with being gay. But he is also living proof that the extreme bullying that is typical of the high school environment is not everlasting. Dan Savage as an adult man has a successful career as columnist and author, is married, has a son and is surrounded by supportive friends and family. He shows that it is possible to overcome the bullying and live a happy full life. Spreading this message in the conservative United States through the mainstream media would be close to impossible. Because beyond the fact that publishing through mainstream media costs a lot of money, this topic and opinion is quite provocative to the large conservative audience which these outlets do not want to lose. The dominant ideology about gender and sexuality is, and not only in the conservative US, that men should be ‘manly’, women should be ‘feminine’ and they should be in a heterosexual reproductive relationship. Everything that deviates from this heterosexual norm is seen as a threat to that ideology and therefore a threat to society. Lesbians, gays, bisexuals, transgenders and all other people that do not meet these heteronormative sexual and gender norms are treated as abjects (( Butler, Judith. ‘Bodily Inscriptions, Performative Subversions.’ In: Salih, Sara, Judith Butler, red. The Judith Butler Reader. Oxford: Blackwell, 2005: p. 90-115. )). Online platforms like YouTube, Facebook, Google Plus and Twitter have proven successful for this project. It used the open free online media to publish their resistance to the dominant ideology and reach a possible global audience. It has been so successful that it is not limited to the alternative anymore. Next to ordinary people, organizations and activists this project has been supported by mainstream media celebrities and politicians by making a supporting ‘It Gets Better’ YouTube video too. One of these people is President Obama. Like Lance Bennett described as a possibility for online media activism, it also has found its way to the mainstream media and its audience via MTV; MTV has supported the cause by making two TV Specials about the project. According to the website the project has now more than 50.000 user generated videos that have been viewed more than 50 million times. This case proves the power and potential that online media has for activism, resisting the established order and making a change in the status quo. It tells that if you believe in something that differs from the dominant ideology it is not a lost cause and you can make an impact. Even though the discriminating of LGBT people is far from over, the ‘It Gets Better Project’ is influencing a growing number of people and this is a great start. I hope that this kind of activism will not be necessary in the future anymore and everyone on this planet gets the respect and tolerance they deserve. But until that moment has come: Let’s use the potentials of online media activism to its fullest. « Hey Zuckerberg! You’re late!